K'den is not a large man in any sense of the word. At 5'3", even most women are taller than he is, not that he seems to particularly mind. He's also rather lean, not being the type to gain muscle easily. His hair, which is dark brown and curly, if cut a little shaggily much of the time, can add a little bit to his height, but not much. His face is rather wide, and the lower half of it is usually covered by a beard of some description, typically a rather short one. 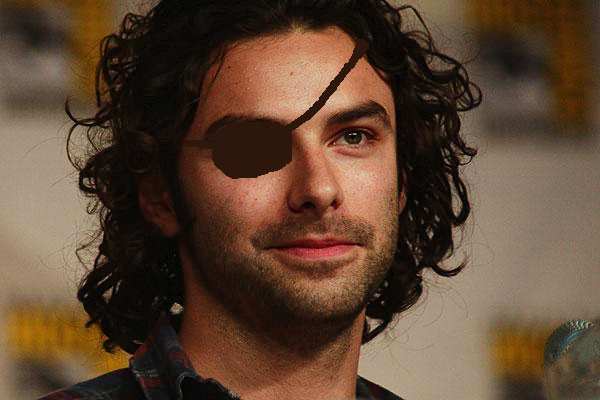 His left eye is dark brown, and it sits under rather heavy brows; his right eye is missing, and the surrounding area is heavily scarred, though most of it is covered by an eyepatch. His mouth, while not notable in and of itself, is usually turned up in a smile. K'den is quite the flirtatious man. He'll at least act interested in just about anyone even vaguely female, though he has a marked preference for women taller than himself. Luckily for him, this is most women. He is, at heart, a rather romantic fellow, and tends towards flattery and, in extreme cases, poetry. Unfortunately, K'den has no talent for the written word, and especially not for verse, and his poems tend to be downright awful. Despite his frequent utter failures at romance, K'den is almost always upbeat and cheerful, usually ready with a joke or a prank. He's especially fond of attempting to sneak into the kitchens to snag a couple of pies while they're still hot, or sneaking under tables to tie some hapless rider's bootlaces together. Some things, he simply never grew out of. While he makes friends easily, K'den doesn't allow many people to get particularly close to him. He seems to hold most at arm's length, never allowing himself to care too much. When he does consider someone close however, as with family or extremely dear friends, he is extremely loyal, and all but impossible to dissuade from trying to help. Born to a Bluerider and fathered by her Weyrmate, a Greenrider, Kanden and his older brother, Katsden were Weyrbrats from the start. They grew up with all of the other children in the creche, aware of their parentage and even visited occasionally by their mother, but for the most part they were children of the Weyr as a whole, not of any individual couple. For much of his childhood, Kanden was mocked mercilessly for his size. Despite being younger than his brother by only one Turn, Katsden towered over him as though the the difference was far greater. Fighting over it, however, was almost entirely out of the question; Kanden hated the teasing, but he still knew better than to fight people considerably bigger than himself. Instead, he got his revenge in other ways. Being rather fond of practical jokes, he tended to lean towards annoying antics such as stink bombs, judiciously-sprinkled itching powder in someone's bed, or a well-placed tripwire. Like most other Weyrbrats, both Kanden and Katsden were eventually Searched, Stood, and were passed up quite a few times for their efforts. 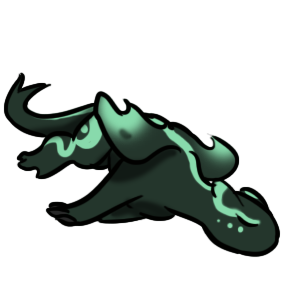 At least until Kanden was nineteen, when the second-to-last egg to hatch was a very small green, who stretched lazily, tried to lick the egg goop off of herself, and made her stumbling way to Kanden. Hello, K'den. Your Perth is very dirty, and also hungry. Fix it, please. The best part of Impression, K'den thought, was how Perth never seemed to care that he was smaller than most people. Most women seemed to find the idea of a short man slightly off-putting—or maybe they just didn't like him—and for once in his life, someone other than Katsden accepted him fully. It was absolutely wonderful, and more than enough to take his mind off how difficult some of the lessons were. The best part was, the war ended just as the pair finished their Weyrling training, and they never did have to go to war. Thread came only a couple of Turns later however, and the pair fought in their share of battles there. They were apparently lucky, always emerging with few especially serious injuries. As far as how long luck can hold out, especially in what appears to be te face of impending war, only time will tell. Became wingleader when Perth volunteered him for the position. He never wanted such responsibility, but neither has he turned from it. Little even for a green, Perth is a small, lithe dragon clearly built for speed and maneuverability over stamina. She is, in fact, quite adept at producing quick bursts of speed, as well as making very little sound while flying slowly, stalking her prey in near-silence. Her hide is mostly a deep, muted green, like tree leaves viewed at night. However, starting at the elbow-joint of each wing and getting progressively brighter until the next wing-joint is reached, this changes to a brighter, jade-like shade. This same color is also present on the outside of her headknobs, continuing in a line over her eye-ridges, and then in three smaller dots below each eye, as well as down the ridges on her back. She also has a lovely pattern on her hind legs, making it appear almost as though she is wearing armor. From the time that she first Hatched, Perth has been an incredibly vain dragon. She cares about her appearance almost more than she cares about food. She scorns mud and dirt when she can, for she barely tolerates water, and does her best to keep herself clean without being obliged to bathe—though when pressed, she will indeed happily bathe if it means being clean. Her favorite pastimes are being oiled by her rider and taking whatever naps in the sunlight that she can get away with, for she is also rather lazy. When roused, Perth's favorite thing is to chase things smaller than her. This could be wherries, herdbeasts, even a light reflected from a bit of metal on some other rider's straps if she can find nothing else. Failing that, she'll instead stalk and pretend to hunt K'den, though actually pouncing on him has been out of the question since their Weyrling days. Though she has a tendency to pretend to be rather cold and distant at times, she is actually quite affectionate, even if she can have an odd way of trying to prove it. More than once, K'den has been gifted with dead wherries or furbeasts, or had Perth inform him that she would be happy to help him clean himself.